For dedicated basketball fans across the world, the number 23 conjures up thoughts of basketball all-stars like current NBA basketballer Lebron James and of course American basketball legend Michael Jordan, considered one of the NBA’s greatest players of all time. Jordan wore the number 23 throughout his college and professional career and it proved an extremely lucky number for him. With 23 days left until the Basketball Hall of Fame Belfast Classic is underway, tournament organisers Sport Changes Life have joined up with their own squad of local basketball legends who have come out in support of this ironic event. Big basketball will return to Belfast from 29thNovember – 1stDecember 2018 and this year the event is being supported by some heavy-hitting basketballers of diverse backgrounds who are highlighting just how widely popular this growing sport is across the Island of Ireland. Joining up to make an all-star team of event ambassadors are Kerry GAA and Irish national basketball legend Kieran Donaghy, Irish International ladies captain, Tipperary’s Grainne Dwyer, and James MacSorley, Belfast native, Sheffield Steelers and Team GB Senior Men’s Wheelchair Basketball player. Their support for this event highlights the broad diversity of basketball as a global sport. Kieran Donaghy is famous across Ireland for his on-pitch antics as a Gaelic footballer with Kerry but is lesser known for his outstanding career as a leading Irish basketball player. Kieran plays for Garvey’s Tralee Warriors and has also represented Ireland at an underage and senior level on the court on the Irish National team. 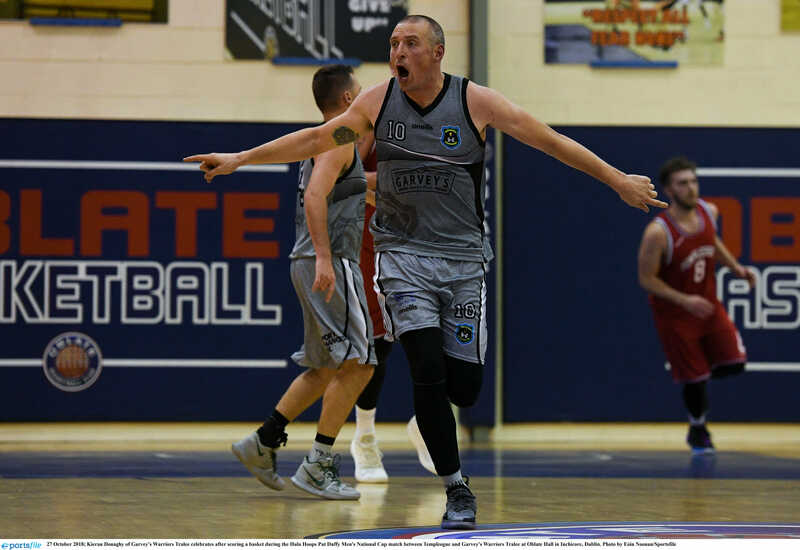 While he made the tough decision to choose Gaelic over basketball as a focus in 2004, recently-retired Kieran is turning his attention back to basketball as this year’s Classic doubles in size following its successful inaugural year in 2017. Supporting the sport alongside her male counterpart is ladies Irish International captain Grainne Dwyer. A Tipperary native, Grainne’s exceptional and inspirational basketball career has seen her play nationally and for local club Fr Mathews. Grainne’s accolades include six national cup titles, six league titles, three cup final MVPs, one league final MVP and three Irish Times January Player of the Month awards. The most successful wheelchair basketballer from Northern Ireland to date, Team GB Senior Men’s Wheelchair Basketball gold medallist James MacSorley has played the sport since the age of 6. Recently relocated to England following his recruitment to the Sheffield Steelers, James proves that there are no limits for young people who are drawn to the court. The second Belfast Classic tournament will kick off at Belfast’s SSE Arena on 29thNovember – 1stDecember. Held in partnership with the Sport Changes Life Foundation the tournament will double in size for its second year and will see eight collegiate basketball teams from across the USA battle it out, with just two teams being awarded with Belfast Classic Cups at the tournament’s close. Visit www.belfastbasketballclassic.comand http://sportchangeslife.com/for more information on the Basketball Hall of Fame Belfast Classic and the Sport Changes Life Foundation. For media opportunities and interviews with key organisers and players in advance of or at the Tournament please contact Brittany Breslin (brittany@massivepr.tv)or Bryony Chapman (bryony@massivepr.tv)at Massive PR. Click hereto complete the media accreditation request form to secure tournament media access.